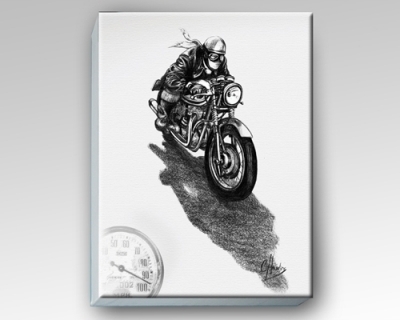 Really nice evocative pencil drawing of a Rocker on his Triton trying to break the Ton. Now available on a pre-stretched canvas at 10" x 8", ready to hang, easy peasy! Printed on high quality Loxley canvas and comes packed in white box so no ratching around for boxes if giving as a present. This is a high quality print transferred to canvas. 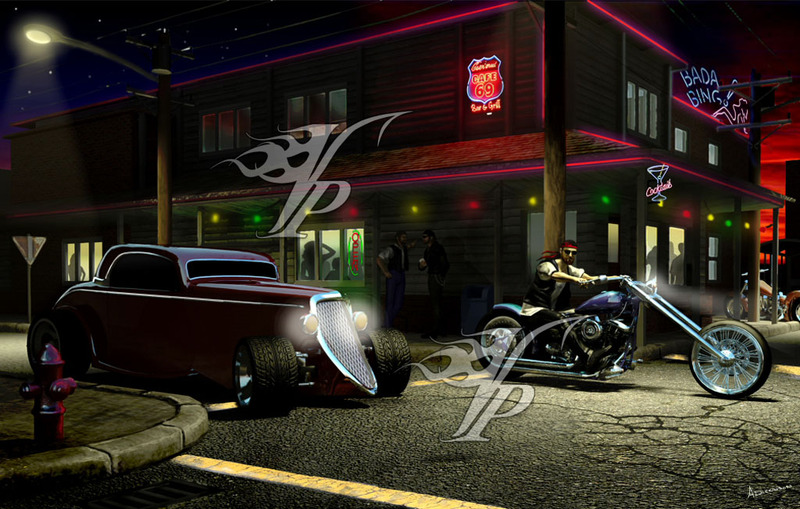 The 50's and 60's were the heyday of the cafe racers and Ton Up boys along with clubs like the 59 Club which epitomised the times and places like the Ace Cafe in London. Nortons, Triumphs were the bikes of choice but many others such as Royal Enfields, Ariels, BSA's etc were also cafe racered. Nothing available for Ton Up! Canvas!